First built for use on submarines in 1944, the Navy Chair has been in continuous production ever since. The Emeco 1006 Navy Chair was first commissioned in the 1940s by the U.S. Navy for use on warships – the contract even specified that it had to be able to withstand torpedo blasts. 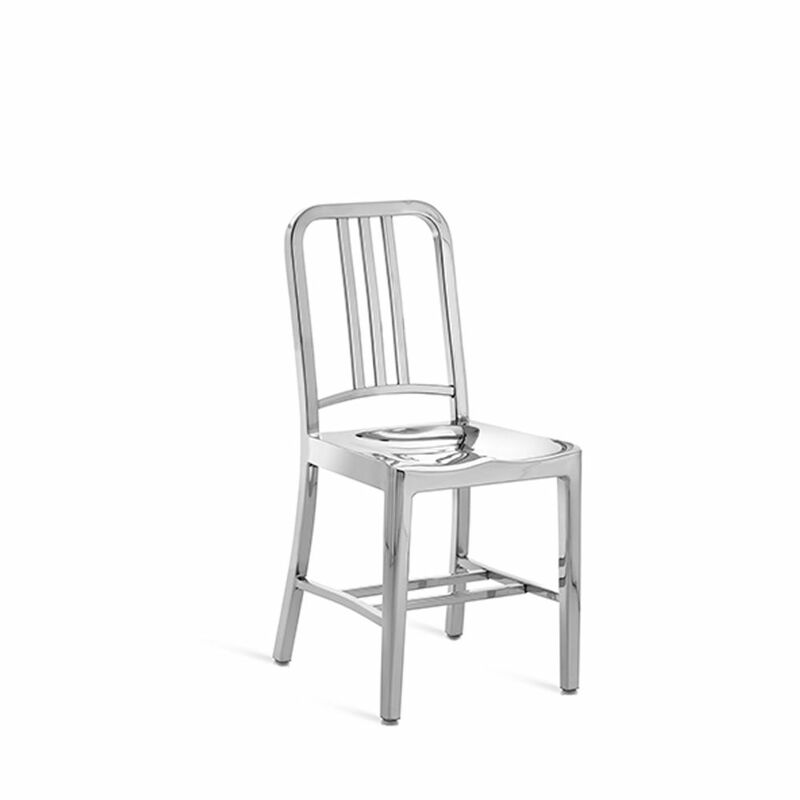 Today our chairs are still made in the U.S.A., of 80% recycled aluminum, and are made by hand, by Emeco craftsmen using the original 77 step process. The world’s best architects and designers collaborate with us to design chairs that are built and guaranteed to last a lifetime. As we apply what we’ve practiced in the past, we are looking toward the future. We are on a mission to make a positive impact on the environment. Our goals are to use waste material in our products, use as little energy as possible in our manufacturing, generate a minimum of waste in the process, and build strong, durable, beautiful chairs that last through generations. We’ve been on the same mission since 1944 and we will continue to search for new ways to recover and utilize discarded materials and make products that last. American furniture manufacturer Emeco’s first product was a US government commission to make lightweight, heavy-duty chairs for the US Navy.